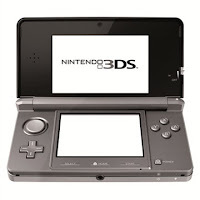 Studio Blog: Nintendo 3DS Console - Out Now!! Experience incredible gameplay featuring real 3D graphics that do not require any special glasses or additional accessories. Nintendo 3DS is a breakthrough in portable entertainment, a truly cutting-edge piece of hardware that has to be seen to be believed.